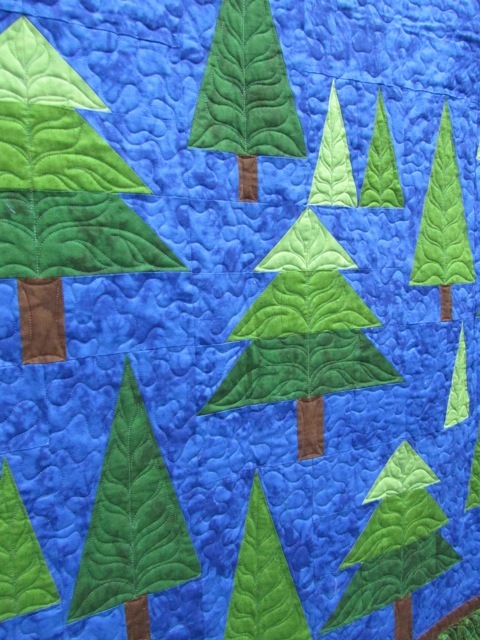 This is the 2011 Pumpkin Patch Shop Hop quilt done by Guildcrafters Quilt Shop. Kits will be $7.00 plus tax at each store. Color photo/patterns will be sold in the fabric kits ONLY. There are a total of eight kits (two will be available at Sew What in Wyandotte and one will be available at each of the other six stores). Pattern is based on fat quarters and extra fabric will be available at all stores to make the quilt bigger. Border ideas will vary, border, binding and backings can be purchased at any store. No free patterns will be available this year. FREE acrylic charm templates will be given to every passport holder by each store while they last. 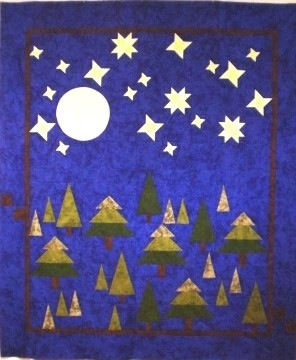 This is the 2011 Pumpkin Patch Shop Hop quilt done by Material Girl.